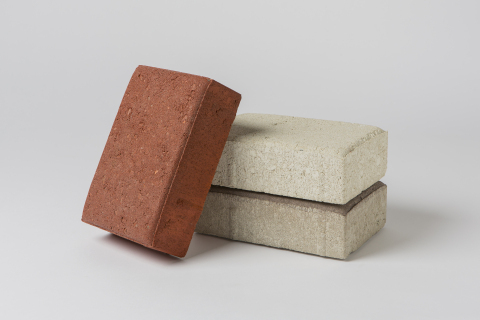 The U.S. Patent and Trademark Office issued a patent for the structure of CO2-cured Solidia Concrete™, advancing the performance and sustainability of materials available to the global construction and materials industries. Solidia Technologies® holds the exclusive licensing rights to the patent, which is held by Rutgers University, where the original generation of the material was invented. U.S. Patent No. 9,868,667, “Bonding Element, Bonding Matrix and Composite Material Having the Bonding Element and Method of Manufacturing Thereof,” covers the composition of matter of the non-hydraulic concrete. Solidia addresses the cement industry’s goal of reducing its carbon emissions, which contribute 3-5% of global CO2 pollution. Solidia’s processes start with an energy-saving, sustainable cement, then cure concrete with CO2, reduce the carbon footprint of cement and concrete up to 70%, and recycle 60 to 80% of the water used in production. Using the same raw materials and existing equipment as traditional concretes, the resulting products are higher performing, cost less to produce, and cure in less than 24 hours. “Our next-generation concrete offers a competitive edge to the global US$1 trillion concrete and US$300 billion cement markets, advancing profitability and sustainability in an industry that needs both,” said Solidia President and CEO Tom Schuler. Currently in commercialization for large- and small-scale applications, the initial technology focus was on unreinforced precast applications, including pavers and blocks. Solidia is now developing processes for reinforced applications, including aerated concrete, railroad ties, architectural panels and hollow core extrusions. Solidia’s patent estate includes over 200 patent applications worldwide, with 32 issued and 14 scheduled. Investors include Kleiner Perkins Caufield & Byers, Bright Capital, BASF, BP, LafargeHolcim, Total Energy Ventures, Air Liquide, OGCI Climate Investments, Bill Joy and other private investors. Follow Solidia Technologies at www.solidiatech.com and on LinkedIn, YouTube and Twitter: @SolidiaCO2.